There are two kinds of people in this world: those who praise Julia Child’s The Joy of Cooking and those who would consider themselves besties with the Postmates guy. Regardless of where you fall in line, there’s no denying the benefits to your waistline (and wallet) found in preparing a home-cooked meal; and with the addition of so many smart kitchen gadgets on the market today, you don’t need to be an actual Top Chef to cook like one. Here are some of our favorite ways to simplify your time in the kitchen so you can maximize your time indulging. Even the most esteemed of chefs will admit there’s nothing quite as nerve-wracking as firing up the grill and having to accommodate to everyone’s mixed preferences of how well-done they’d like their food to be. Thankfully, the iGrill 2 allows you to grill with confidence and enjoy the party. This digital-app connected thermometer monitors your food from start to finish, and notifies you once your food has reached the perfect temperature to take off the grill. With their easy-to-use app, simply select your protein, how well you’d like it cooked (for example, say you want your steaks medium-rare) and wait until you receive an alert on your smartphone telling you it’s time to take it off. Yes, it’s really that easy. Find Weber iGrill 2 on Amazon. Recently named one of Oprah’s Favorite Things, this mixing-bowl-meets-scale is accurate to 1%, assuring your recipes – especially baked good – will come out perfect every time. The simple “Add and Weigh” feature allows more than one ingredient to be added to the bowl with each ingredient being weighed separately. 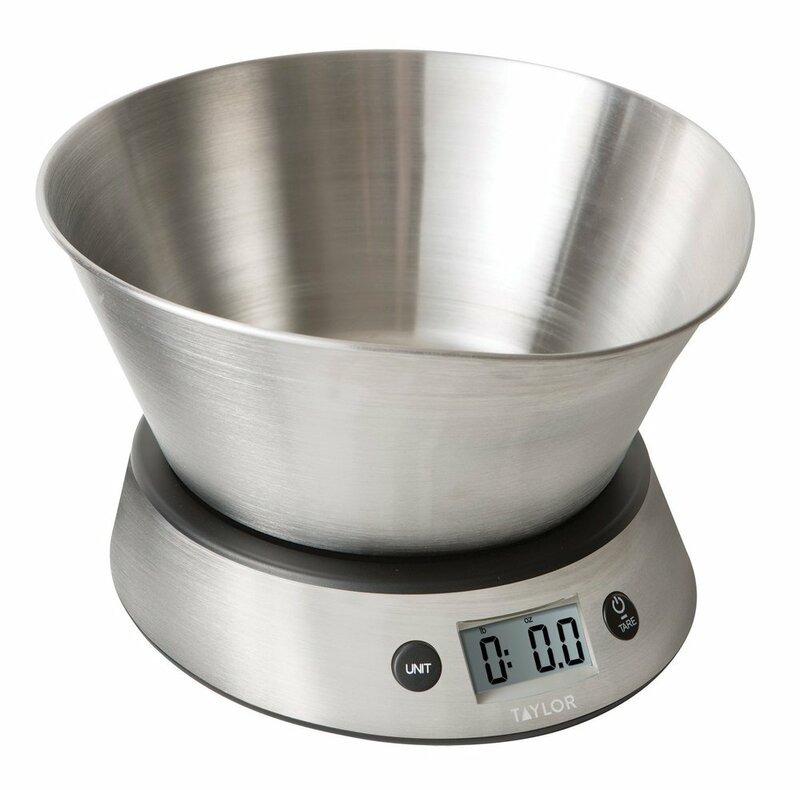 Additionally, since most scales only weigh dry ingredients, this scale also "measures" liquid ingredients with better accuracy, again eliminating the need to dirty another measuring cup. Find Taylor Precision Products Stainless Steel Weighing Bowl Scale on Amazon. If you’re looking to add a little workout to your kitchen prep, look no further than this hand-powered food processor. Using the same movements one would when starting a lawnmower, simply yank on the plastic handle to activate the pull-cord attached to a series of blades inside the dishwasher-safe container (the entire thing is dishwasher-safe FYI). In less than a minute you can chop everything from vegetables to nuts and herbs to easily make sauces, salsas and purees. Find Chef’n VeggiChop Pro on Amazon. By now, you’re probably all too aware of the harmful effects drinking soda can have, but if you still crave a glass of bubbly every now and then, why not make it at home? 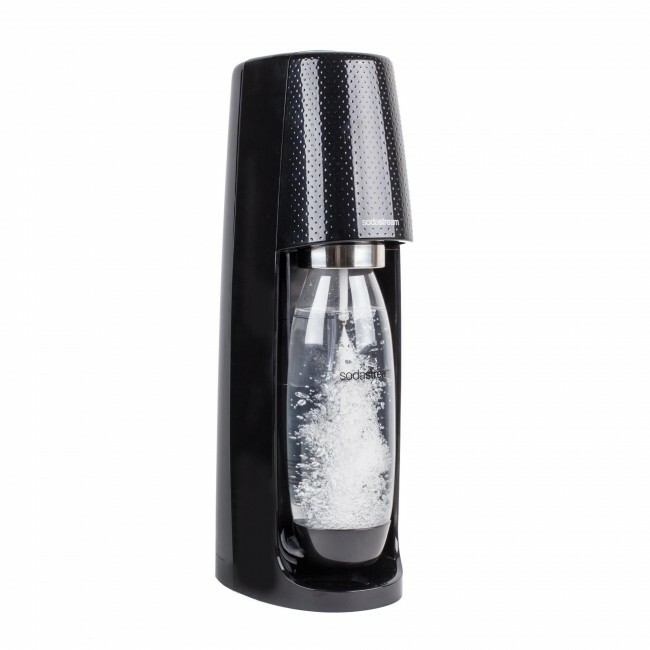 The all-new Fizzi Sparkling Water Maker turns water into sparkling water in seconds and is designed to capture the essence of SodaStream’s original machines while incorporating a new slimmer design to fit beautifully in any modern-day kitchen. Find SodaStream Fizzi on Amazon.